The Antisana Ecological Reserve is located southeast of Quito, on the edge of the Amazon. The region includes the high river basins of the Coca and Napo Rivers and the dormant volcano of the same name. 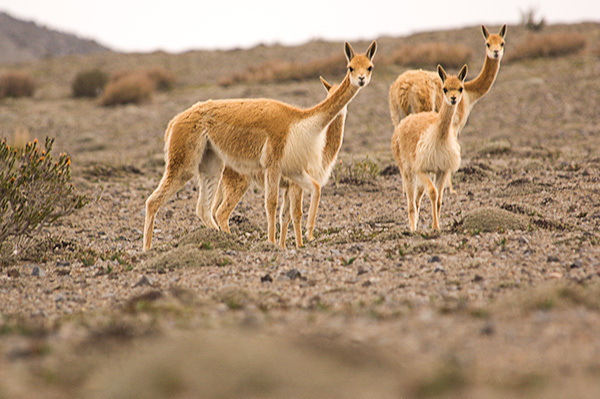 The Reserve was created in 1993, with the goal of preserving the unique native flora and fauna of the Andean páramo. 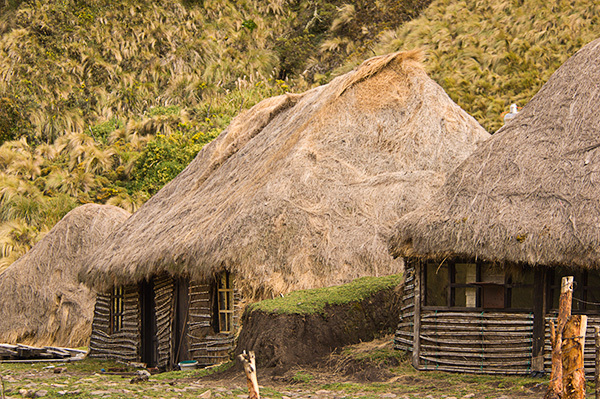 The cloud forest filled ravines, páramo grasslands and glacier fed streams and lakes support herds of wild horses, wolves, llamas, mountain tapir, spectacled bear and many birds, including more than 10 species of hummingbirds.The native flora consists of shrubs, orchids, mosses and other plants specially adapted to the environment. 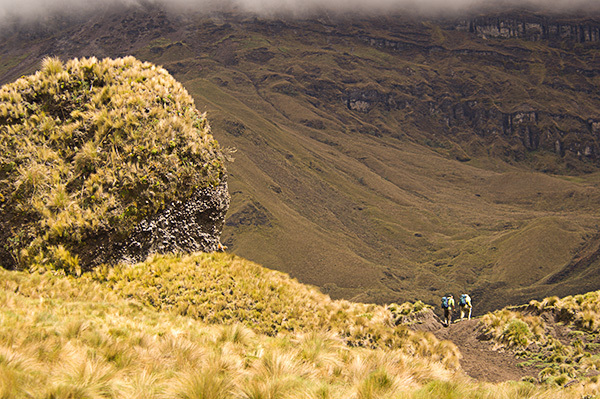 Throughout our trek we will have the snowcapped volcano Antisana (5,758 m/ 18,891 ft) as a backdrop. Antisana is a Quichua word meaning “Man of Wind and Snow”, named after the fact that all four of its peaks are covered by beautiful blue tinted glaciers. Our trip takes us through the access town of Píntag, a quaint hamlet characterized by its cobbled streets and tiled roofs. 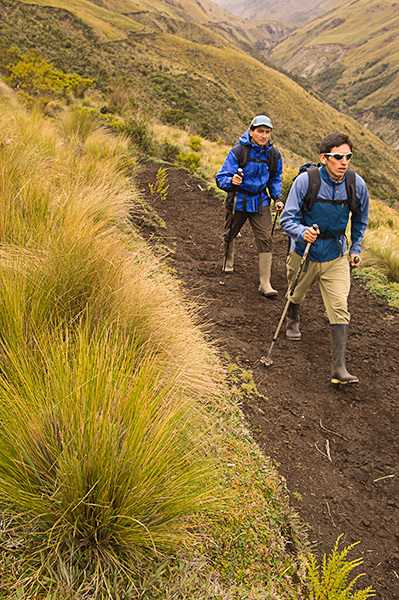 Then we hike through well preserved stretches of páramo, into the cloud forest and across lava and mudflows. There is a good chance of seeing the Andean condor soaring overhead; as it has been reported that fifty percent of Ecuador’s population of these rare birds inhabit Antisana’s ecological reserve. After the trek, there is an optional day extension in the famous Papallacta thermal springs. Here we can reward ourselves in the thermal pools after a long trek and take advantage of their exceptional massage and aromatherapy services. Drive to Hacienda El Inga in a small Indian village. After loading gear, we set off to the valley of La Dormida. 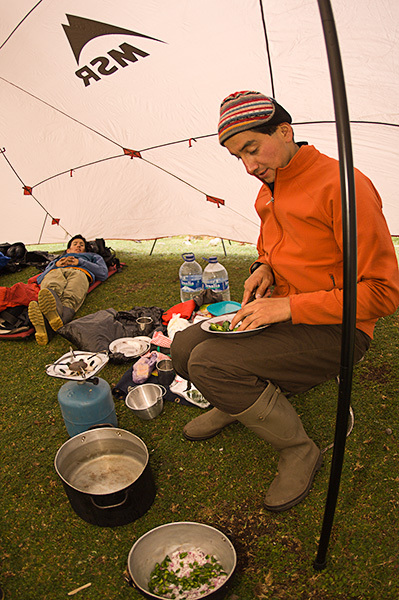 Then after 5 hours of hiking, we set up camp by the river (3,600 m/ 11,811 ft). 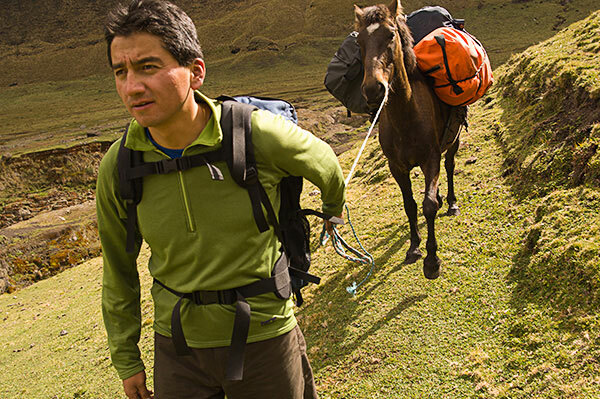 After breakfast, we travel Páramo grasslands through a high mountain pass near Antisanilla (4,000 m/ 13,123 ft). 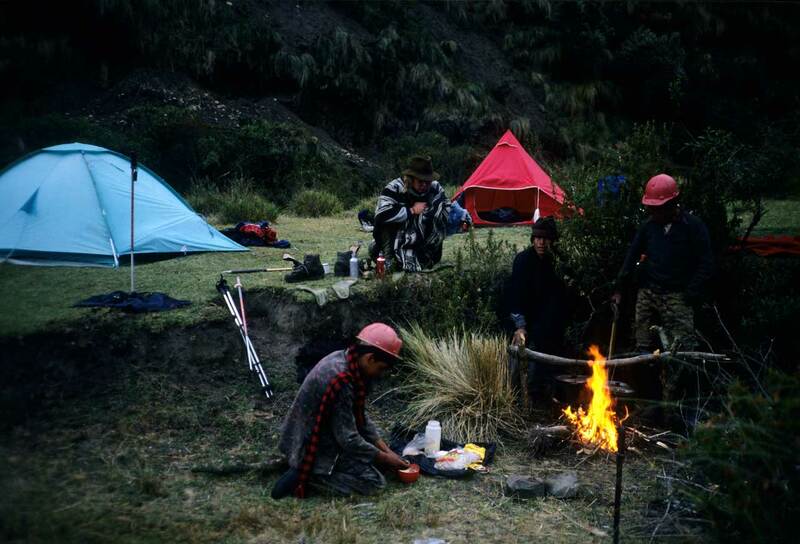 Then we descend to a crater lake and set up camp (3,500 m/ 11,500 ft). 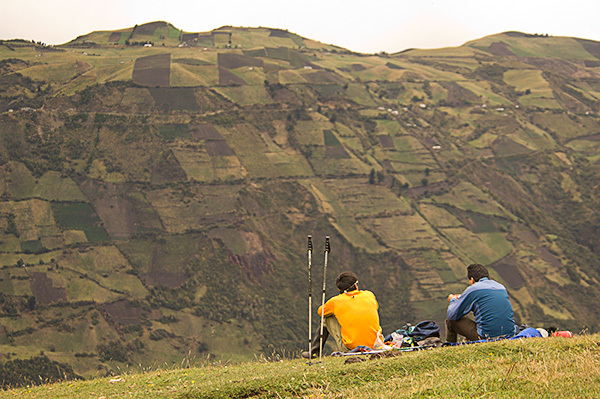 Today we hike up to the high plateau at Antisana. We pass a huge volcanic massif, where you can see impressive glaciers and perhaps the condors that nest in the cliffs. We set up camp at Laguna Volcan. We get up early and hike to the end of the plateau to enjoy amazing views of Antizana. Then we hike out and go relax in the thermal pools at Papallacta. Late morning soak in the thermal pools, if desired treat yourself to their spa treatments. Drive back to Quito in the late afternoon.